Hooray! We have several new links for printable diaper coupons to save big with a CVS diaper deal this week. Even if you don't want to take advantage of this deal right now, you should still print the coupons so you're ready for the next deal when it comes along! 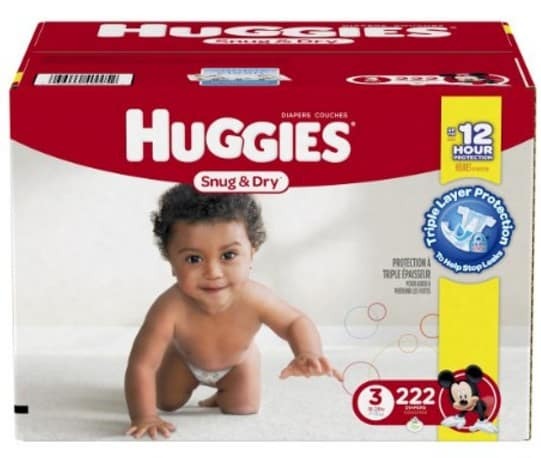 Watch a short video and you'll be able to get a Huggies printable coupon to save $3 on one pack of Huggies Snug & Dry diapers. Hit the back button and refresh your browser after the first one prints and you should be able to get a second coupon! You can print two of each of these coupons. Just print the first set, then come back here, click the links again and print the second set. Final price: $12, or just $4 per pack of name-brand diapers!